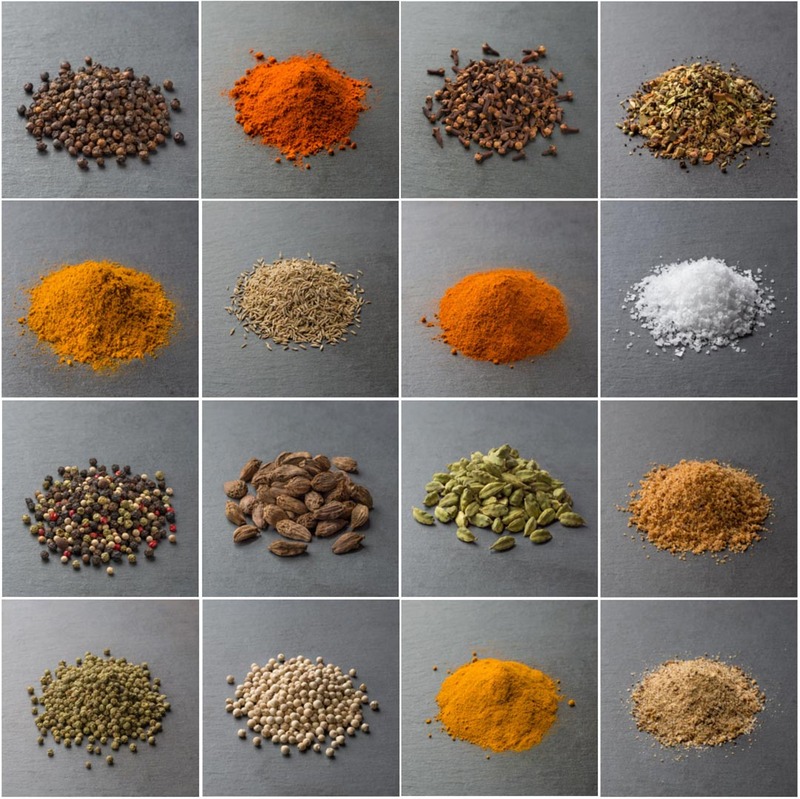 Where do the top, award-winning chefs buy their spices? I know a lot of you are already cult fans of our signature Tellicherry Peppercorns and our Icelandic Flake Sea Salt. The reviews you’ve written are sometimes so over-the-top, I worry that others will think they’re fake. LOL. But I do understand. Those peppercorns somehow talked me into starting a spice business. If you haven’t yet ventured beyond our signature salt and pepper, I wanted to let you in on something special. I want to let you know that we give you access to the exact same lots of spices that we supply to these same chefs. And we’re talking, the pickiest, most demanding, talented, respected chefs in the country. I want to let you know that we give you access to the exact same lots of spices that we supply to the pickiest, most demanding, most talented, most respected chefs in the country. Only when several of our chefs are excited, and actually asking to buy the spices from us, will we add them to our collection. No matter how I personally feel, we won’t add a spice until we’ve gone through this rigorous vetting process. We don’t just sell spices because we have access to them. Only when several of our chefs are excited, and actually asking to buy the spices from us, will we add them to our collection. No matter how I personally feel, we won’t add a spice until we’ve gone through this rigorous vetting process. Your spices come from the EXACT SAME LOTS that our most talented chefs are getting. Yes, I know that we don’t have every spice under the sun. We go slowly before we add new spices to the line. You see, the word “reluctant” in Reluctant Trading is there for a reason. We take our time, careful to only add stuff that is extraordinary. It takes time and resources on the ground to find the best of the best. Each and every spice we purchase is bought in small batches, fresh and direct from the sources. In India, my partner, Divakar, literally travels the countryside for the best lots. He sells exclusively to us. We don’t use distributors or middlemen where spices sit and go stale. We sell-through our spices consistently and often, several times a year, so you’re always getting the freshest, most aromatic stuff. Farm-to-table spices you might say. Here’s what just a few of our award-winning chefs have to say about our spices. We hope you’ll now have the confidence to go beyond our salt and pepper and that you’ll check out the rest of our spice collection. Tellicherry Peppercorns vs. Regular Malabar Black Pepper – What's the Difference? Before The Reluctant Trading Experiment, I didn't know a Tellicherry peppercorn from a telephone pole. But I've learned a lot, so I thought I'd do a little peppercorn pontification now and share the knowledge. So what is the difference between Tellicherry peppercorns and regular black pepper? Actually, there's a lot of misinformation out there on the topic. Curiously, some websites state that Tellicherry peppercorns come from the city of Tellicherry, India. Not true. It has nothing to do with the place that they come from. Other sites say that Tellicherry peppercorns are left on the vine longer. Nope. Not true either. They're left on the vine the same amount of time as regular peppercorns. Curiously, some websites state that Tellicherry peppercorns come from the city of Tellicherry, India. Not true. It has nothing to do with the place that they come from. I think all of these misunderstandings came about because many spice companies don't import their spices directly from India like The Reluctant Trading Experiment. They buy from middlemen, distributors or spice brokers. They're thousands of miles from the action and don't really know the answers, so they look it up on the web. Unfortunately, they have no way of fact checking. At Reluctant Trading, we import our Tellicherry peppercorns directly from my friend Divakar in India. He (Telli)cherry picks the best peppercorns from the farms on a regular basis. I've visited the farmers in Kerala and learned all about peppercorns. So when you're at your next cocktail party and the popular subject of peppercorns comes up, you'll be armed and prepared for the spicy discussion. Tellicherry Peppercorns and "regular black pepper" both come from the exact same vine. (And for that matter, so do green and white peppercorns, but that's another subject for another blog post.) All are the species called Piper Nigrum. At the end of the growing season, in February and March, the pepper fruit is picked from the vine. The pepper is dried over a series of days and eventually shrivels and turns into what we know as black peppercorns. All of the peppercorns are then shipped to "garbling" facilities. These are places that sort the peppercorns by size and then bag them. The sortation machines have several different large flat metal screens with thousands of identical holes in them. The machines shake the peppercorns so that the smaller peppercorns begin falling through the screens. The smallest peppercorns fall to the very bottom screen. Once sorted, the various peppercorn sizes are called different things and sold for different prices. So a Tellicherry peppercorn is actually determined by size. When a black peppercorn is 4.25 mm pinhead or larger, it's "Tellicherry." That's all there is to it. Because Tellicherry are so much bigger than the other peppercorns, they make up a much smaller percentage of the crop. Oftentimes they represent 10% or less of any given harvest. There's less of them, so command a higher price at market. There's actually another size class of Tellicherry peppercorns. When the peppercorns are 4.75 mm pinhead and above, they're called Tellicherry Special Extra Bold Peppercorns. That's what we sell. Shop The Reluctant Trading Experiment Tellicherry Special Extra Bold Peppercorns. So is bigger really better? And if regular black pepper is less than 4.25 mm pinhead, what's the taste difference between the two varieties? As peppercorns grow larger, they lose a little heat. But, with less heat comes a bigger aroma. So the bigger the peppercorn, the more fragrant. There's more room inside the peppercorn for good stuff to happen. More starches. Our Reluctant Trading Signature Peppercorns are medium hot. They definitely have the heat you'd expect from pepper, but they won't have you running for water to put out the fire. We think they're perfectly balanced. Our Tellicherry has strong lime, lemon and orange notes. When you grind our Tellicherry, the citrus aroma is immediate and beautiful (if we don't say so ourselves). That's what grabbed me the first time I tried our Tellicherry peppercorns. It was the beautiful and fragrant Tellicherry scent that led me to start Reluctant Trading. If you don't believe me, watch the video. Just to ensure that the our pepper remains as beautiful, complex and fragrant as possible, we don't buy from middlemen or store ours in huge warehouses. My friend Divakar buys right from the farms and ships straight to me. I ship right to you. We turn our inventory constantly, so nothing gets stale. A lot of "regular black pepper" is bought by the container load and ends up sitting around warehouses for years. It's less fragrant to begin with and whatever aroma is left, dies over long periods of time in poorly climate controlled warehouses. When it comes to Tellicherry Peppercorns vs. Regular Black Pepper, Tellicherry wins every time. Now that you know the difference, why not try Reluctant Trading's Tellicherry peppercorns and see for yourself? I'm thankful for many things on our 6th birthday. In many ways, this has been the busiest and most exciting year for us so far. So busy, in fact, that this is the first blog post I’ve been able to write since last year's birthday blog! We've been launching so many exciting new products. First a little history for you. Did you know the original name of the company? If you said, “The Reluctant Pepper Company,” give yourself a pat on the back. Unfortunately, it wasn’t long before I realized we needed a name change. While we did launch with the best Tellicherry Peppercorns on the planet, I felt the "Pepper" part of the name would be a little too confining. Kidding aside, it really has been the perfect name. When your first name is "Reluctant," you are allowed to take your time to get things right. I'm a perfectionist, so being "Reluctant" is always an excellent excuse. Also, the word "Reluctant" is truthful. When we started, I didn’t know a Tellicherry Peppercorn from a telephone pole. I thought pepper was all the same. (Here’s the full story.) But eventually, I gave in to the amazing aroma of the Tellicherry peppercorns and followed my nose. I like the word "Experiment" in our name too. When it's an experiment, you have license to try new things and move in new ways. I like the freedom. We launched with our signature Tellicherry Peppercorns in 2012, then we added our signature Flaky Icelandic Sea Salt in 2013. A few more items followed, but it took awhile. The floodgates opened this fall. We added ton of new things. Like new gorgeous salt and pepper mills from Denmark. New stoneware salt cellars. New gift sets. New Monsoon Moon Indian Whole Bean Coffee. Sourced in India. Roasted in Indiana. We even added chef aprons made on 100-year old handlooms in Divakar’s hometown. You really have to come see what we’ve been up to. The spices we supply our top restaurant chefs are the same ones we offer you on our consumer website. So if you haven't ventured beyond our pepper and salt, you really ought to try the other stuff. You won't be sorry. Thank you to my wife Karla, aka Mrs. Reluctant, for your amazing support. Behind every great spice man, is a great spice woman, right? She really is the glue that keeps us together. Thank you, Divakar, for consistently supplying us with the freshest, most extraordinary spices (and now amazing textiles) on the planet. You should take a pride in all of the 5-star reviews on ReluctantTrading.com. Thank you, Pauline, Olivia, and company. Wonderful to have a partner that cares as much about getting our packages out on a daily basis as we do. Thank you, Michael Mabry, for another year of beautiful, spot-on product and graphic design. Thank you, Alan Shortall, for another year of spot-on photos. While we didn’t have the excitement of getting attacked by monkeys this year, I'm also relieved not to have to get another tetanus shot. And last, but certainly not least, thank you for your business and amazing reviews. I still see every order that comes through. I still read every review. I still answer my emails. Looking forward to more experiments in the year ahead. All the best to you and your family this holiday season! "The Reluctant Trading Experiment Story"
In case you haven't seen the video that tells the story of the start of our company, I thought I'd include it here. In the words of the guy that plays Divakar, "Too good! Too good!"